Leaving the planning until the last minute can result in surcharges and potential cost overruns. In this white paper, we walk you through planning your event from start to finish. Included in this resource is a full planning guide, a budgeting checklist, tips and tricks on choosing and designing the right display, and the best practices for pre- and post-show promotion and lead management. This comprehensive guide to managing your participation at any event or trade show will be an invaluable tool to help you succeed. 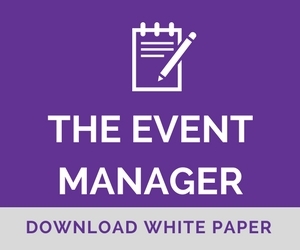 Download our Free White Paper, The Event Manager, for helpful tips and planning timelines to make your next event or trade show a huge success. Increase your Return on Investment (ROI) and reduce costs by following some simple suggestions.